Russian sommeliers will arrive in Tbilisi in late March to taste Georgian wine, president of the Association of Georgian Sommeliers, Shalva Khetsuriani, said at a briefing on Thursday, RIA Novosti reported. 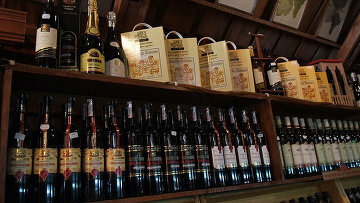 According to Khetsuriani, the purpose of the visit is only tasting Georgian wines, not inspecting wineries. The Association president said no inspections will be conducted, and the visitors will come to ask how wines are produced and to taste them. Russian consumer watchdog Rospotrebnadzor banned the import of Georgian mineral water and wine in spring 2006 following the aggravation of the Georgian-Russian relations. In late 2012, Russia expressed willingness to start negotiations on the resumption of Georgian goods' supply. Earlier, Georgia and Russia agreed to mull resumption of supplies of Georgian wine and mineral water to the Russian market. The issue was considered during a Moscow meeting between a Georgian business delegation and Rospotrebnadzor. Following the meeting, both sides stated that the embargo on Georgian products could be lifted in spring. Rospotrebnadzor experts arrived in Georgia on Feb. 25 and completed the inspection on March 1. They have checked the first group of companies producing wine and mineral water, which is a precondition for starting supply to the Russian market. Earlier, Georgian Agriculture Minister David Kirvalidze said that the second visit of Rospotrebnadzor experts for further inspections is expected in mid-March.